Made to mount "perimeter" style valve covers on '86-newer heads. As you know, you can't run a stud girdle when using centerbolt valve covers. These handy adaptors simply bolt to your centerbolt heads which allows you to use standard valve covers and stud girdles. O-ring seal on head side. Use standard gasket on valve cover side. 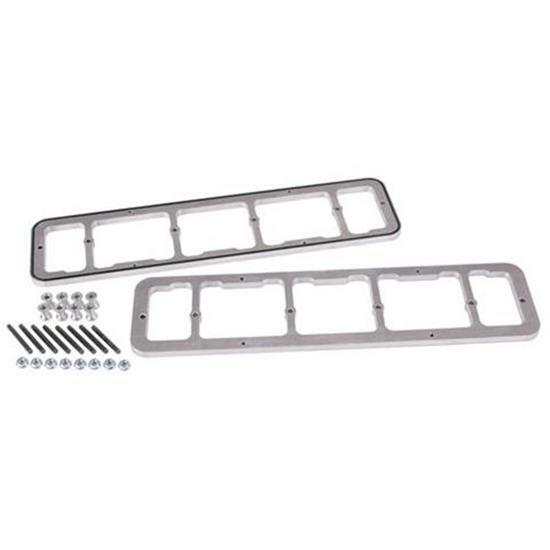 Has bolt holes to use with early '60-'86 "straight bolt" valve covers as well as '55-'59 staggered bolt valve covers. We also carry adaptor plates (# 910-17145) to put '87 and newer center-bolt valve covers on '60-'86 heads. Will not work with aluminum roller rocker arms.